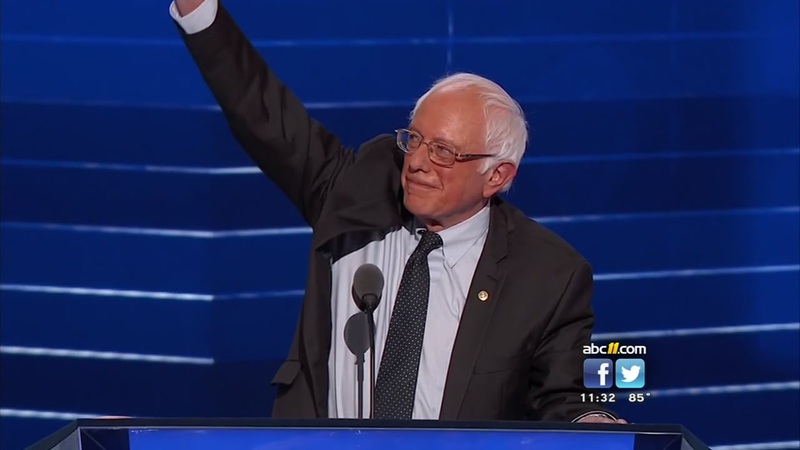 Bernie Sanders is seen speaking at Democratic National Convention. DURHAM, NC (WTVD) -- The public conversation between the Rev. William Barber and Sen. Bernie Sanders scheduled for Friday in Duke Chapel is being postponed because of the likelihood of votes in the US Senate that require Sanders to remain in Washington. Efforts are underway to reschedule the event, "The Enduring Challenge of a Moral Economy: 50 Years After Dr. King Challenged Racism, Poverty, and Militarism." All tickets that have been issued for the event, including those being held at the Duke Box Office, will be honored for the rescheduled event.